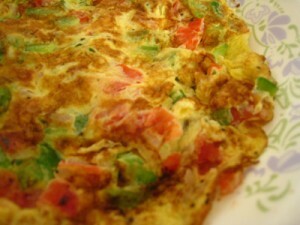 Anda Tamatar (Egg Tomato) recipe by abrarhussain_73 at DesiRecipes.com. Heat oil in a pan or in a wok. Then put chopped tomatoes in it. When tomatoes are tender put green chillies and red chili powder, cook for 3 minutes. Then put Chinese salt and salt in it and mix it well. Now put the eggs on the cooked tomatoes. Keep in mind, don't mix it just spread it and let the eggs cook. Then just give some turns and the delicious egg tomato is ready. If you mix it too much then it will just a regular cooked egg recipe. Tip: for best Anda tamatar , cook the eggs on very low heat throughout. Its good for winter season.